A long time ago at a trail near you, riders were using balloon tires to attempt to shred. Luckily, these days we have the Michelin Force XC 27.5" tire, so you can blast past those commoners like the Jedi you are. 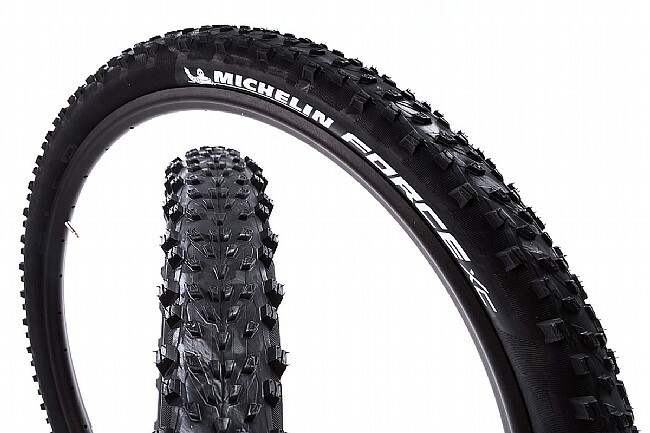 This brand new entry in Michelin's new mountain line is the perfect everyday XC tire – regardless of whether that day is a race day or training day. Featuring Michelin's Gum-X3D rubber, combining three separate compounds in the to provide the best in pedaling efficiency, grip, and loose-terrain performance. The 3 x 120 TPI carcass is reinforced by the Cross Shield technology, alternating high-density plies into the casing for a lighter, more puncture protective casing. 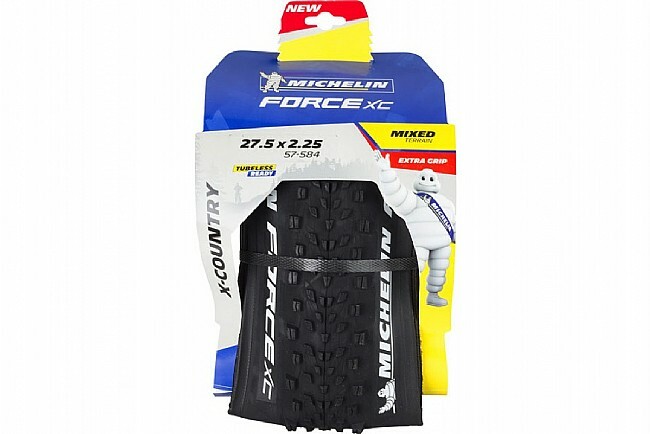 The Michelin Force XC 27.5" Tire is available in two sizes, 27.5" x 2.1" and 27.5" x 2.25". Claimed weight: 27.5 x 2.1 – 600g, 27.5 x 2.4 – 640g. Also available in an All-Mountain version.